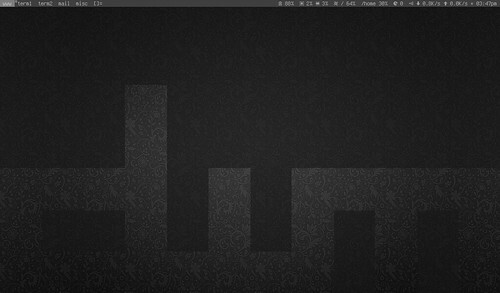 I struggled over the last couple of days to pipe conky into a Dzen2 status bar alongside the default dwm bar. Here is how I sorted it. Then it was a matter of setting up the relevant files. The key is —and it took me a while to work it out— to delay the loading of conky until after dwm has painted it’s status bar; otherwise conky | dzen2 is obscured.